Carnnibal is back to the Latino Resiste Family, after an amazing debut EP! Now the good news are: with a whole Album! In where dancehall meets Jamaican- West- African Roots; but also keeps the Left Field approach that earned Carnnibal a shout in UK’s The Guardian music section, as well as some highlights in several blogs. Still elusive to social media, Sah Brukout aka Carnnibal, prefers his music to do the talking. It is a fundraising EP, in which all collected money will be reinvested in the Latino Resiste – Mal Dicen page so we can keep giving away more fantastic underground music for Free. 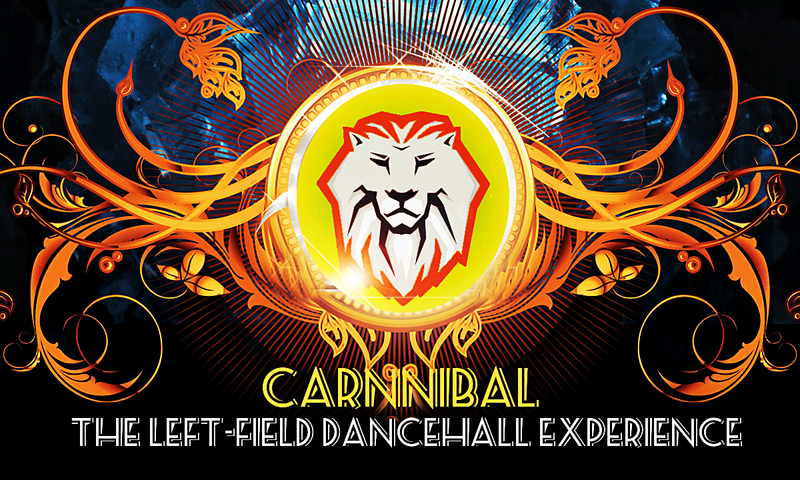 Carnnibal designed this is as an album, to be heard in the whole context, as it evolves from eclectic Dancehall to Moombahton, but also some tracks have a flip, in where the listener can find not only usual bounty riddim but also some patterns of Jamaican riddims as pounder, and Caribbean Elements of gwo ka, tambour, ti bwa and biguine vidé are prominent in the album. The album also has his minimal Bass approach. Edits from Dancehall Kings Vybz Cartel, Damian Marley, Capetlon, Elephant Man & Tommy Lee, get blended with Original tunes featuring Ragga Twins, Diane Charlemagne. The Left Field Dancehall experience. All di while mi wanted to do an album that could do both, keep the bruk out and respect the foundation. Dancehall has been haunted by auto tune and samfi men who even live inna stoosh place right in Kingston. Sight? Mi wanted to Move yu backside like uno yu. But Mi see Bobo dread still rocking di batty-hate tunes so mi edited two of em so dey can see that we need to respect everyone in and out of the island, cuz there’s still pyur sufferation inna gwaan inna di ghetto for dis bros & sistahs. Dis album is a whole experience, one needs to listen from tune 1 to end. no singles. Let’s go back to di whole album.